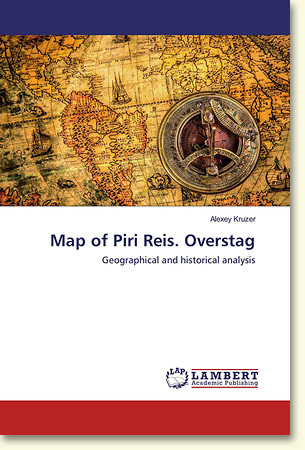 Lambert Academic Publishing has issued a book of A. Kruzer "Map of Piri Reis. Overstag." The ISIDA Project Administration expresses its gratitude to the editor of the International Academic Journal, Julia Arturovna Bordenyuk, for her help and assistance in the publication of the book "Map of Piri Reis. Overstag" by A. Kruzer - Co-Director of ISIDA Project in English language. The Russian book was published on March 3, 2016. A research work "Map of Piri Reis. Overstag” is about Russia's unquestionable right for the discovering of the part of the mainland of Antarctica continent, which the American professor of Harvard University Charles Hutchins Hapgood tried to challenge in his works, relying on his own interpretation of the map-portulan, created by the great Turkish Admiral Hadji Muhiddin Piri Ibn Hadji Mehmed (Piri Reis). Hapgood's study strangely coincides with the times of the Cold War, Turkey's accession into NATO and the conclusion of the Antarctic Convention, which by its very existence calls into question the historical fact of the discovery of Antarctica by the expedition of Faddey Bellingshausen and Mikhail Lazarev in 1820, thus weakening the position of the true successors in geopolitical relation. In his work A. Kruzer reveals many facts concerning falsifications and deliberate distortion of historical and geographical moments by some interested countries. The work contains extensive research material, thoroughly studied and subjected to multilateral re-examinations by using incontrovertible evidence. 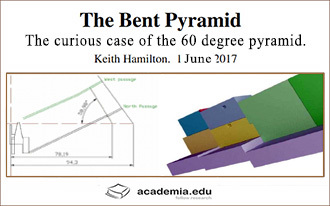 ISIDA Project would like to announce another article "Mastaba 17 at Meidum", written by the independent researcher Keith Hamilton, based on the materials of the first researchers of the Red Pyramid, as well as on the information, gathered during the expeditions of the ISIDA Project. The Great Pit of Zawiyet el-Aryan. 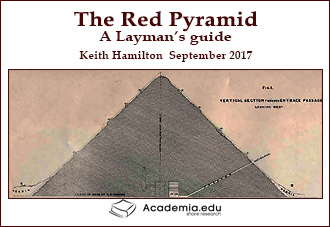 The Red Pyramid. 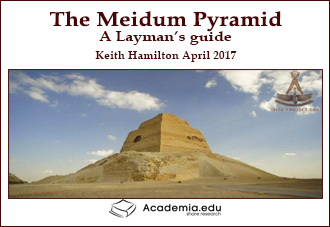 The Meidum Pyramid. 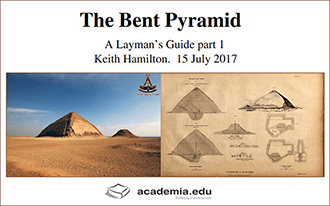 ISIDA Project would like to announce another article "The Red Pyramid" and "The Meidum Pyramid", written by the independent researcher Keith Hamilton, based on the materials of the first researchers of the Red Pyramid, as well as on the information, gathered during the expeditions of the ISIDA Project. 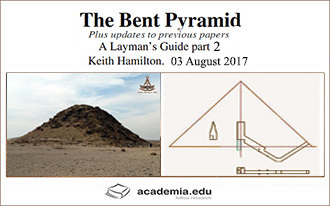 ISIDA Project would like to announce three articles "The curious case of the 60 degree pyramid " , "The Bent Pyramid A Layman's Guide part 1" и "The Bent Pyramid A Layman's Guide part 2" written by the independent researcher Keith Hamilton, based on the materials of the first researchers of the Bent Pyramid, as well as on the information, provided by the ISIDA Project.